I’m sitting on a bench by the boardwalk watching as people walk by. The sun beats on my head and the only relief from the heat is a cool breeze coming off the ocean. As the breeze dries the mist from the ocean, I can feel the salt on my lips. As I watch, I noticed a rather quant trend; some of the women walking together are carrying UV protection Umbrellas. Yes there’s a chance of rain, but I think it’s mostly to protect themselves from the damaging rays of the sun. 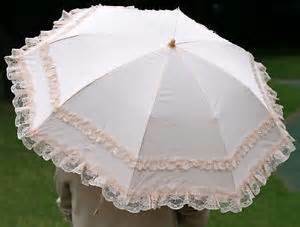 The use of a women’s parasol is returning. As I watch, I noticed that the women seem to be walking together, while the men walk together-unless they are walking as couples. But then I noticed there’s another divide; there are the women with the umbrellas held over their heads, shading them from the blinding rays, and the women who are just walking with no protection. I look a little closer. The women with no protection seem to walk a little hunched over as of protecting their face from the sun. 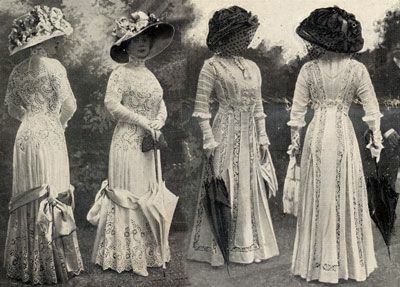 Many may have hats on, but they also seem to have one other thing that the other women with umbrellas don’t: something is in their hand and it’s a phone. Some of them are so busy talking and texting on that phone that they’re not looking at the view around them. They miss the sights of the coast line as the ocean waves hit the shoreline. I cast my attention to the women who are holding the umbrellas. They are only using one hand to hold the umbrella and the other hand is free, swinging as they walk. I noticed something else too, they stand straighter, not trying to protect themselves from the sun. The umbrella is doing the work for them and they seem to walk a little bit more elegantly, they hold themselves straighter, and they are actually looking at the sea while they walk. I close my eyes for a moment, letting my imagination take me back in time. 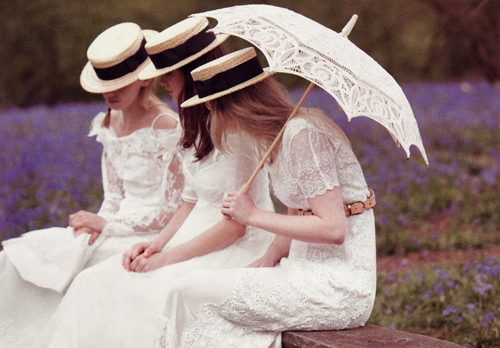 I can picture all the beautiful ladies with their elegant parasols, their dresses of lace & ruffles trailing along the wooden boardwalk. It is a walk letting them enjoy their afternoon out. It was a different time then; much simpler, and to me much more romantic. Today many women, myself included, are caught up in the hustle & bustle of life. That phone we have in our hand is a necessity, not luxury. It’s not a toy; it’s what gets us through the day. The days of walking slowly and elegantly down the boardwalk up holding a parasol are long gone. There too many demands on our life now; we work, we raise families, we run her own businesses, we try to have an active social life. Oh let’s be honest, we try to do it all and we don’t think anything less of ourselves for trying. We only think less of ourselves if we don’t succeed! Where did all this craziness come from? How did we get so caught up this way of life? I look at my watch; time to quit day-dreaming and get back to work. Over is my break and time to yearning for the simpler times. Over is my time to imagine that I could be one of the ladies walking the boardwalk, holding my parasol, enjoying the afternoon sun and the sea breeze.